Dr. Gro Torsethaugen, Plant Physiologist. Dr. Gro Torsethaugen on a fjord in Norway. What a beautiful day in a beautiful place! Dr. Gro Torsethaugen is a Norwegian plant physiologist. She earned her PhD from the University of Oslo, where she also taught. Currently, she teaches at both Penn State University and University of Maryland University College and resides in Howard, Pennsylvania, with her husband, Bill Fatula (of Mudslinger fame), and son Anton. Far from just being a plant geek, Dr. Torsethaugen also is an outstanding trumpet player and soccer coach. Is the preservation of native ecosystems a large issue in Norway? 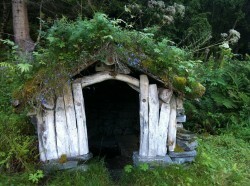 Sod Roof on a traditional Norwegian structure. Gro: Yes. Although Norway is one of the least densely populated countries in Europe there is still a concern about destruction of natural ecosystems, as well as cultural landscapes. (more info:http://www.environment.no/Topics/Biological-diversity/Land/) Norway is a beautiful country with mountains, forests and a long, rugged coastline that include the famous fjords. Most Norwegians appreciate nature and enjoy outdoor activities like hiking, cross country skiing, fishing and berry picking. 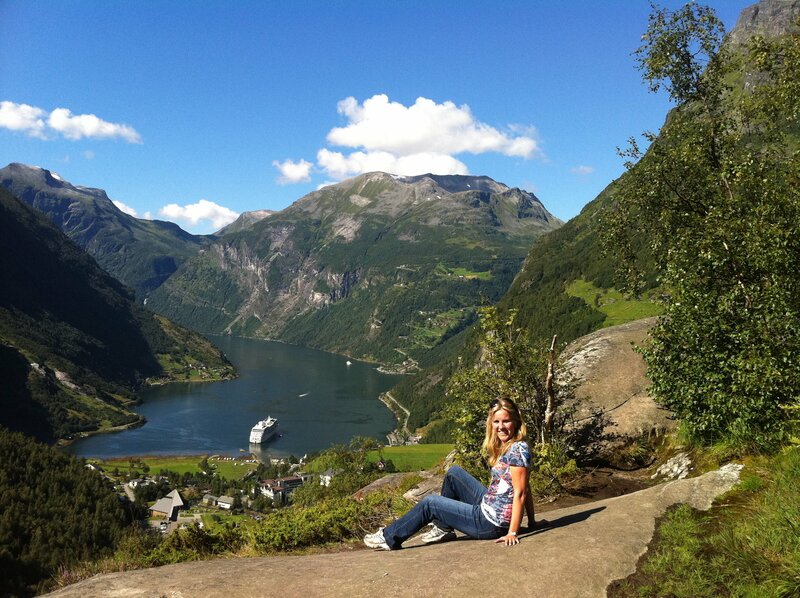 Environmental protection is therefore a relatively high priority in Norway. Do you have a favorite native plant from Norway? 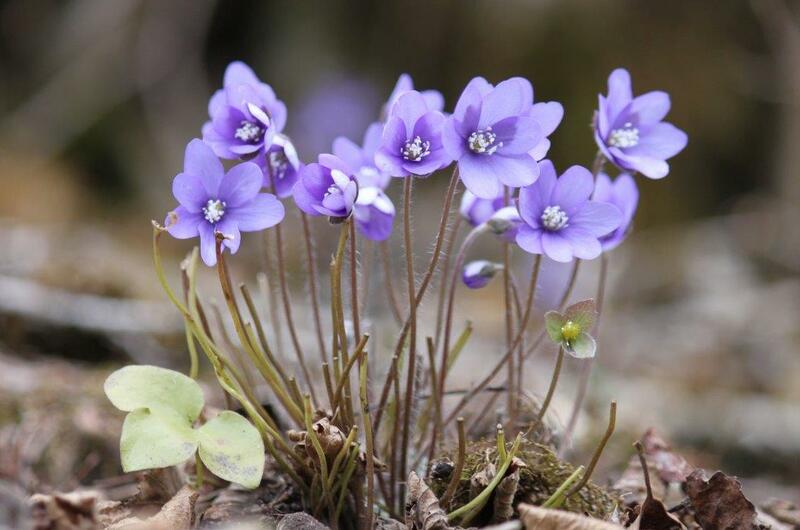 Gro: Blåveis (Hepatica nobilis) is a plant native to both Europe and North America that I am especially fond off. It is not that common in Norway but it grows in relatively large amounts in the area around the farm where my Mom grew up in Snåsa, a place I have visited grandparents and other relatives throughout my life. The blåveis, with its beautiful blue petals, is a sure sign of spring there. Are any plants from North America invasive in Norway? Gro:Yes, one of my favorite flowers, the blue lupine, is actually an invasive species in Norway! I believe it was introduced from the United States to Europe in the early 1800s as a decorative plant. It was also intentionally planted along roads to prevent erosion. The blue lupine is listed on the Norwegian Black List in the high risk category for invasive species. What led you to study plants? Gro: An excellent high school biology teacher, Marianne Sletbakk, inspired me to become a biologist. Then being required to dissect frogs in a college physiology course inspired me to become a plant biologists. I found it easier to work with plants than animals, and ended up torturing plants with the air pollutant ozone in my graduate and post graduate research projects. What kind of environmental topics come up in your classes at PSU and UMUC? Gro: One of the topics we discuss is how to reduce the environmental impact of gardening and landscaping. Using native plants and gardening for native wildlife is an excellent way to do so. Some non-native species become invasive species, which is a major concern in terms of ecosystem disruption and the extinction of native species. Invasive species is the “I” in HIPPCO, the acronym introduced by E.O. Wilson to help us remember the most significant factors that is causing species extinction today; Habitat destruction, Invasive species, Pollution, (the increasing human) Population, Climate change and Over-harvesting. Please tell us about your garden! The recent dramatic decline in the Monarch butterfly population is a major concern so I am planning to sling some milk weed seed balls in the surrounding area this spring. As you may know, milkweed is both habitat and food for the endangered Monarch butterfly. 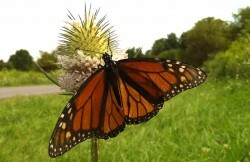 This is a fun way to do some guerilla gardening and help the Monarch butterfly .